Browse all of our current Enrichment and Essential Skills courses. Partnered with us to offer a wide range of online courses. 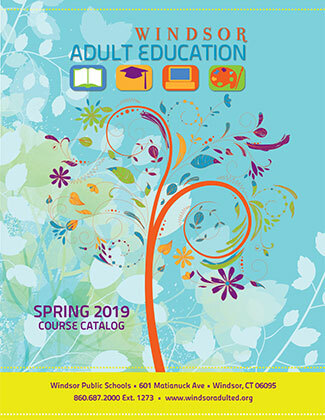 Windsor Adult Education consists of state-mandated and enrichment programs. Our mandated courses include high school completion, adult basic literacy, English as a second language (ESL) and citizenship instruction. The program also offers a multitude of enrichment courses including: arts and crafts, computers and business, dance and music, health and fitness, cooking, foreign languages, money management, personal growth and recreation. "My teachers and the staff at Windsor Adult Ed helped me so much as I went through the Citizenship process. I really felt like they all cared about me and my future."